Perhaps you have read our post about skybridge of PETRONAS Tower. There we learned about the significance of this skybridge during performance against high wind. We will discuss in this post about the foundation system of PETRONAS Tower. PETRONAS Tower is also called PETRONAS Twin Tower. Before 2004 they (two towers) were the tallest structure of the world. We have published a post about foundation system of Burj Dubai. Like Burj Dubai, they are also rested on pile supported raft foundation. We know that before construction and design of such mega structure extensive geotechnical and geological survey as well are performed to know soil conditions up to bed rock and geological data like fault line passing near or below the construction site. 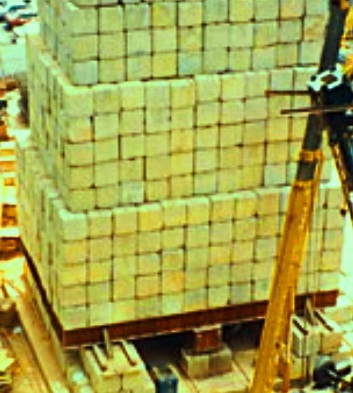 Pile load test conducted by Geokon, Inc. The geotechnical survey discovered that the actual construction site was situated partially over decayed limestone deposition and rest over soft rock. After discovering this, the structure was relocated to avoid limestone deposition. The whole foundation was rested on 104 piles. To reach safe bed rock the piles were extended to depth ranging from (200-374) feet. To reach this depth, PETRONAS Tower became the structure having the deepest seated foundation of the world. The piles were embedded by thick raft. This raft was 15 feet in depth and it requires enormous amount of concrete to cast it. This is about 4470,000 cubic feet which was the largest continuously poured concrete until 2007. This huge quantity of concreting for each tower required 54 hours to pour. The foundation construction took 12 month to complete and construction work was awarded to Bachy Soletanche. 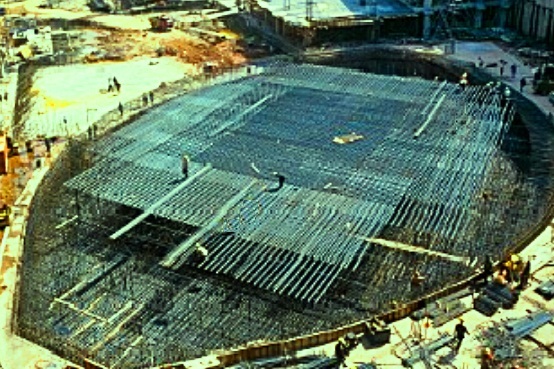 The foundation itself occupies a weight of 35,800 tons. The construction of PETRONAS Tower was commenced on 1st March of 1993 with excavating. The excavation involved to dig 98 ft below ground surface. The volume was about 500 truck loaded with excavated earth. Dear reader we are finishing here, hopefully we will meet with new foundation system of other mega structures of the world. "The construction of PETRONAS Tower was commenced on 1st March of 1953"
I don't think this is accurate. Malaysia only achieve independence in 1957, and PETRONAS was established in 1974. Sorry for wrong information, the construction was started 1st March of 1993. I've just corrected this.